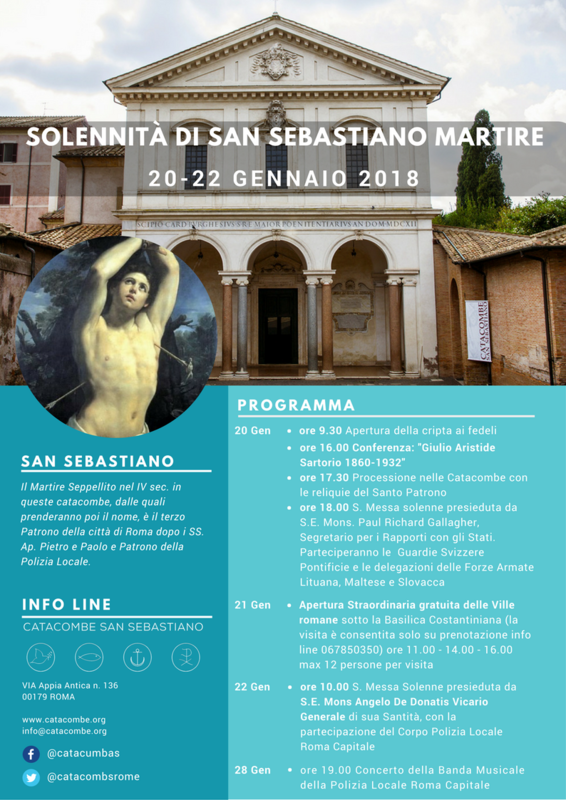 In celebration of the Solemnity of the Roman martyr St. Sebastian, the ancient church marking his burial site on Rome's Appian Way is celebrating with special Masses, processions, and cultural events from January 20-22, 2018. Included in the festivities is access to the crypt traditionally held to be the tomb of the saint and free tours of the Roman-era villas below the church. Reservations are required for the villa tours: please call 06/7850350 to reserve (maximum 12 people per group). 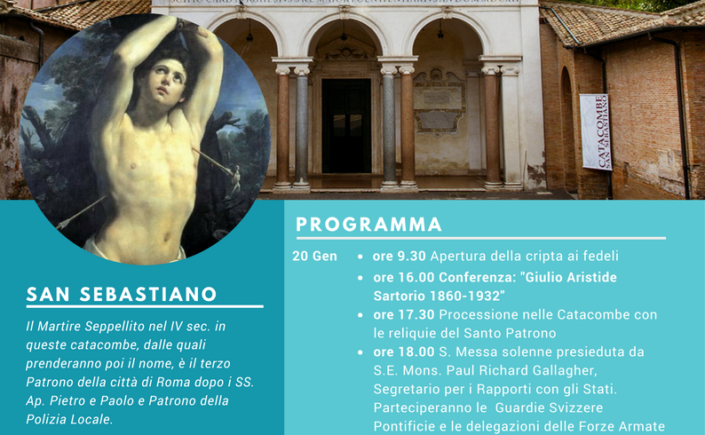 For more information, please contact the Catacombe di San Sebastiano: info@catacombe.org; www.catacombe.org.